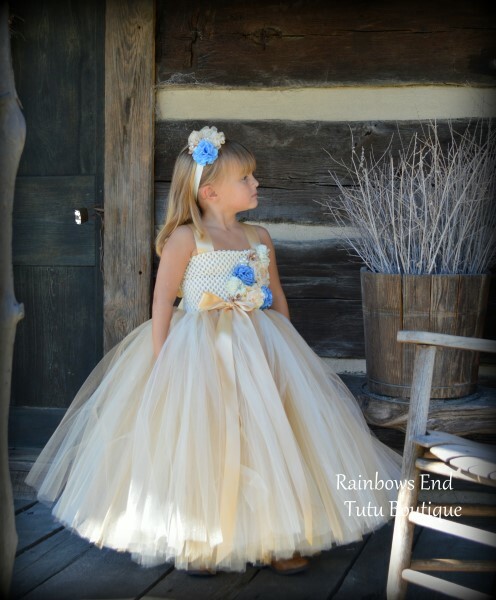 The Vintage Charm tutu dress will transport your little girl to a different time and place, perfect for your vintage theme wedding. A collection of lace flowers, satin and mesh flowers with pearls and rhinestone accents, adorn the bodice of this ivory and shades of gold gown. 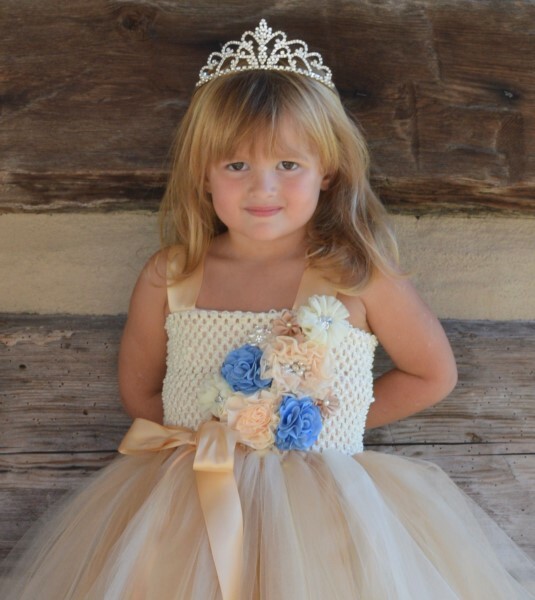 Headband nor tiara is included with the dress.